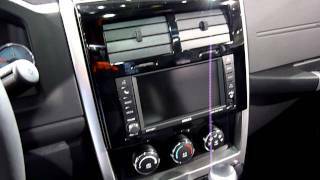 Jeep Liberty Arctic 2012 shares many of the features as the Jeep Wrangler Arctic 2012. The Liberty Arctic also has exterior colors likes Winter Chill, Bright Silver, Bright White and Mineral Grey; interior features similar black and Arctic Orange color scheme; “Arctic” badges on the front fenders are shared, though the “Arctic” decal on the hood is unique to Liberty. 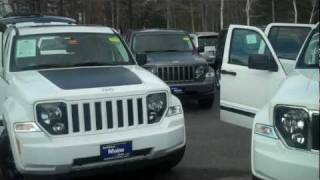 November 9, 2011 ,Auburn Hills, Mich. -	Building on the success of several recent special-edition Jeep vehicles, the Jeep® brand is introducing its latest models: the new 2012 Jeep Wrangler Arctic and Jeep Liberty Arctic. The rugged, extreme winter conditions of the arctic are the inspiration for these latest Jeep models. With winter temperatures that can reach -50°F and wind speeds that can exceed 100 miles per hour, the arctic is well known as one of the most intense climates on Earth. Available in Liberty, Wrangler and Wrangler Unlimited, the 2012 Arctic models arrive in Jeep showrooms this month. 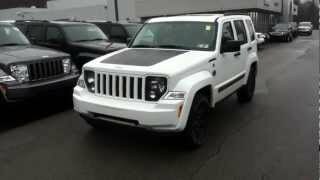 Available on Liberty Sport 4x4 models, the Arctic shares many of the same features as the Wrangler Arctic. Available exterior colors are Winter Chill, Bright Silver, Bright White and Mineral Gray. “Arctic” badges on the front fenders are shared, though the “Arctic” decal on the hood is unique to Liberty. Semi-gloss black 16-inch aluminum wheels with center caps painted semi-gloss black are wrapped in P235/70R16 OWL all-terrain tires. Rounding out the exterior highlights are deep tint glass and tow hooks, blacked-out headlamps and standard fog lamps. The interior features a similar black and Arctic Orange color scheme found in Wrangler. Seats are covered in black vinyl with a Gortex embossment, and the inserts are Tectonic fabric with Polar White accents. Arctic Orange accent stitching can be found on the seat backs, cushions and headrests. Power front seats are heated and feature an “Arctic” logo in the seat back. Finishing touches include gray-faced gauges, express up/down one-touch windows, Media Center 430 touch-screen with a nine-speaker Infiniti sound system and Mopar slush mats with white “Jeep” lettering. Jeep Liberty remains true to Jeep’s legendary 4x4 heritage by offering two Jeep Trail Rated® four-wheel-drive systems – Command-Trac II® and Selec-Trac II®. Command-Trac II® is a part-time four-wheel-drive system, which is the standard 4WD configuration. Command-Trac II operates in 2WD, 4WD Lock, 4 WD Low and Neutral. The optional Selec-Trac II® is a full-time, active on-demand four-wheel-drive system. Select-Trac II operates in 2WD, 4WD Auto, 4WD Low and Neutral. The Liberty features independent front suspension with rack-and-pinion steering and a five-link rear suspension. 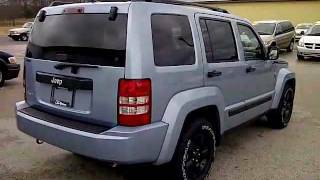 A 3.7-liter V-6 engine is standard on all Jeep Liberty models. The 3.7-liter engine produces 210 horsepower (157 kW) @ 5,200 rpm and 235 lb.-ft. (319 N•m) of torque @ 4,000 rpm. 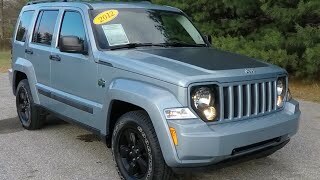 Jeep Liberty is designed to appeal to customers who are looking for Jeep 4x4 capability as well as comfort and convenience. It is targeted to young couples and new families, as well as professional, young singles between 30 and 40 years of age, balanced male to female. Jeep Liberty owners balance day-to-day responsibilities with their passion for adventure as well as the outdoors. They are athletic, and pursue activities that combine their various interests with their active lifestyle.